The LEGO Harry Potter Hogwarts Great Hall Building Kit. 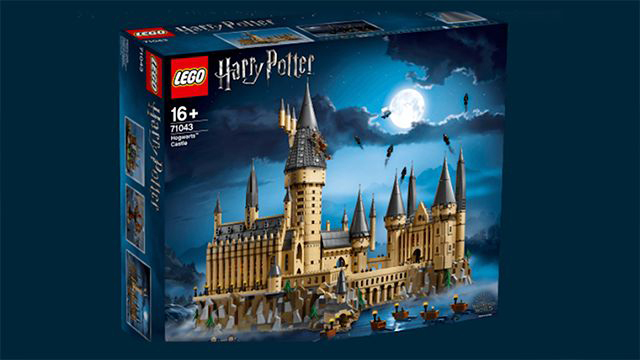 The Harry Potter phenomenon never dies, it just transforms into new buying opportunities. 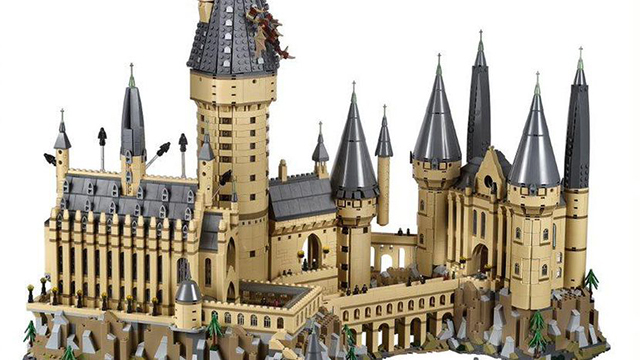 So, LEGO came out with its Harry Potter Hogwarts Great Hall Building Kit. 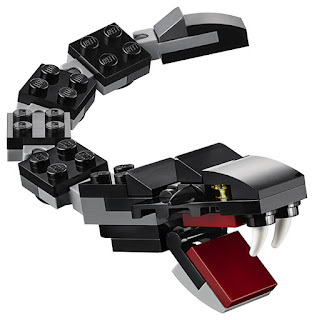 The one being discussed here is LEGO 75954. 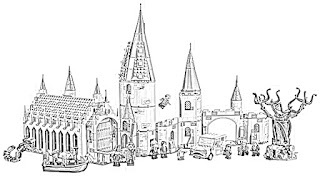 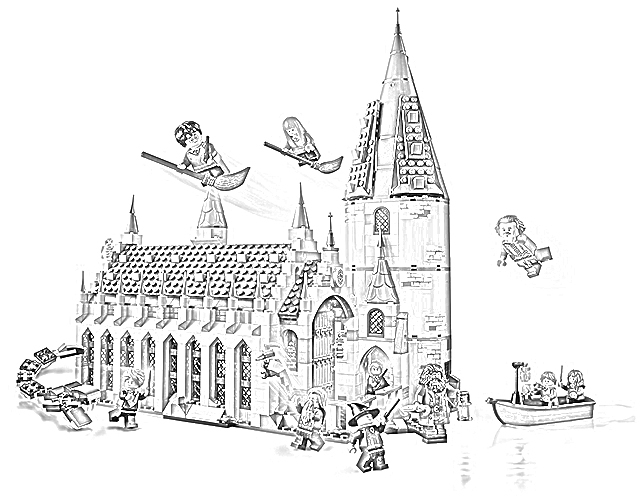 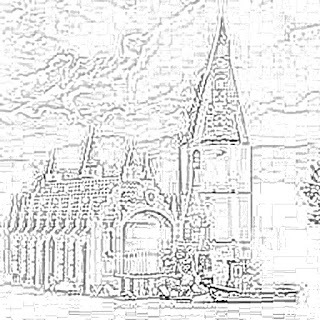 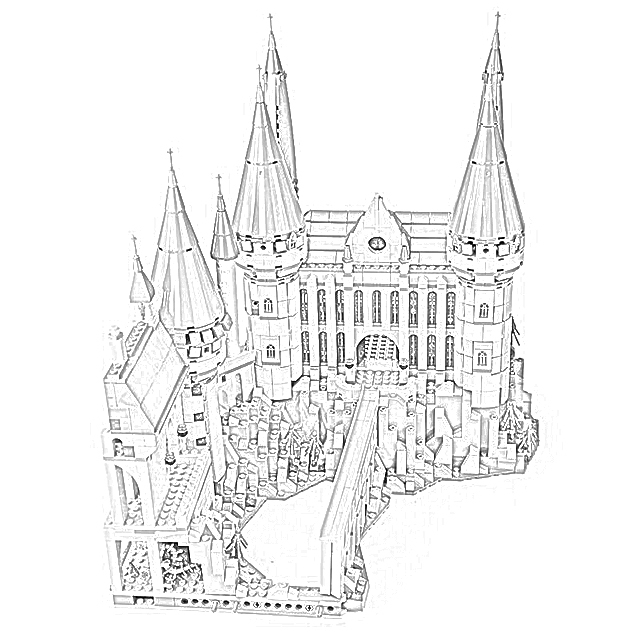 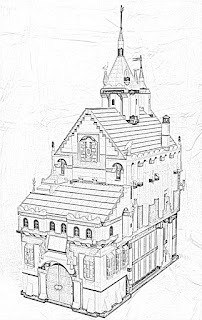 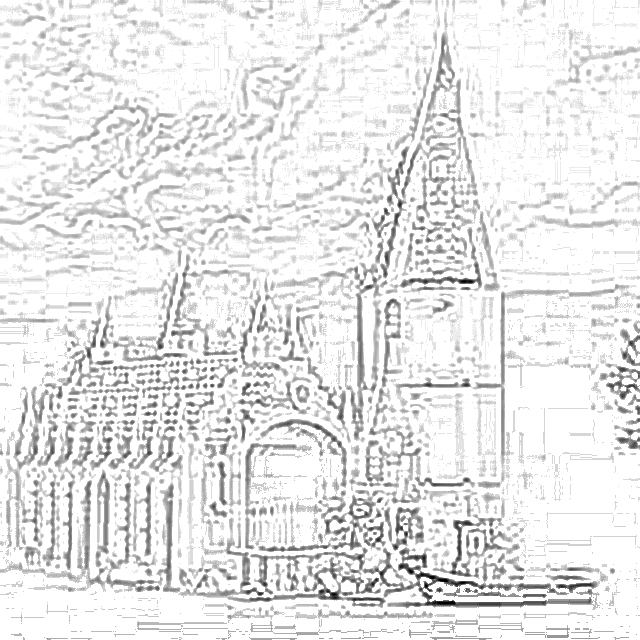 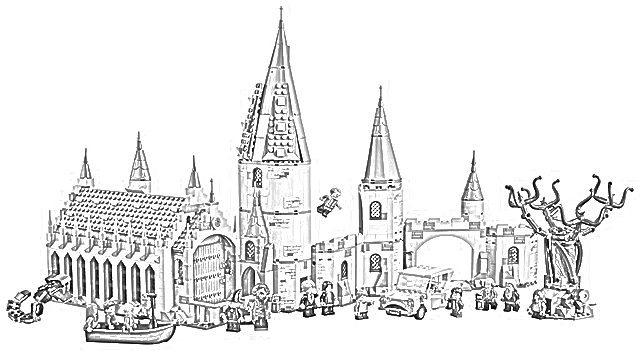 This page is devoted to coloring pages of the LEGO Harry Potter Hogwarts Great Hall Building Kit. As the star of umpteen motion pictures and umpteen novels, Harry Potter needs no introduction. 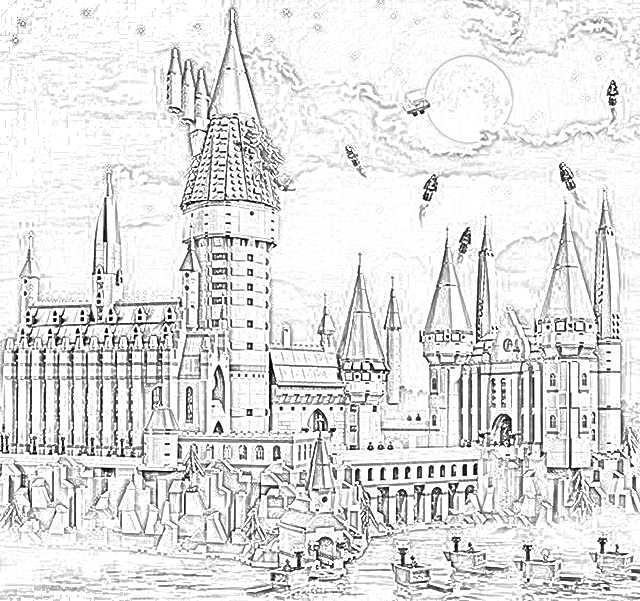 If you don't know who Harry Potter is, you're probably the only one in your particular town who doesn't. 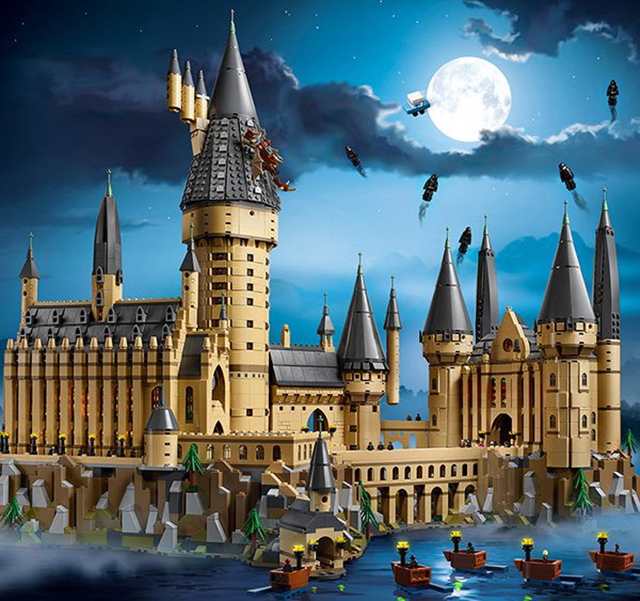 In brief, Harry Potter is an apprentice magician who studies at a place called Hogwarts. The LEGO Harry Potter Hogwarts Great Hall Building Kit gives you the tools to build Hogwarts or, well, anything else that your mind can imagine. 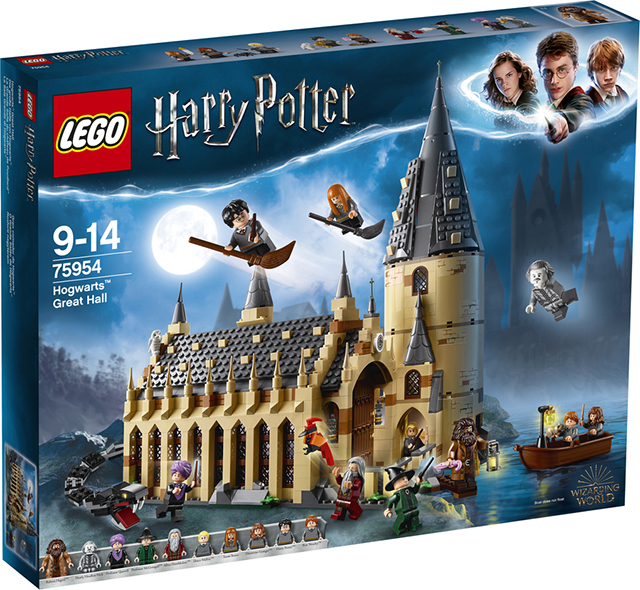 LEGO has other building kits for the Harry Potter franchise. 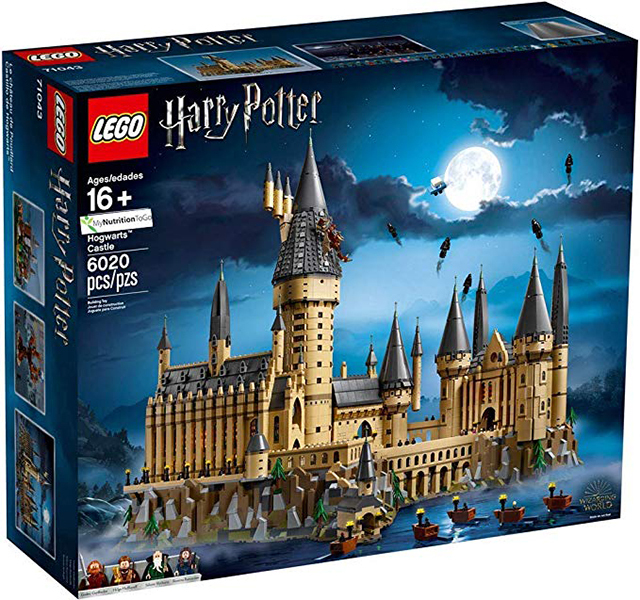 For instance, LEGO has the "Harry Potter and The Chamber of Secrets Aragog's Lair 75950 Building Kit," the "LEGO Minifigures Harry Potter Fantastic Beasts Building Kit," and the "LEGO Fantastic Beast's Grindelwald's Escape." 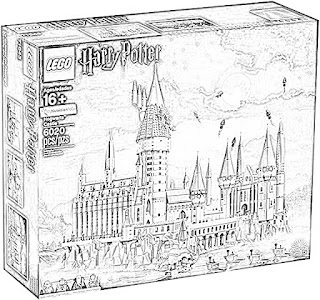 But there are many others, and undoubtedly LEGO will come out with new ones. 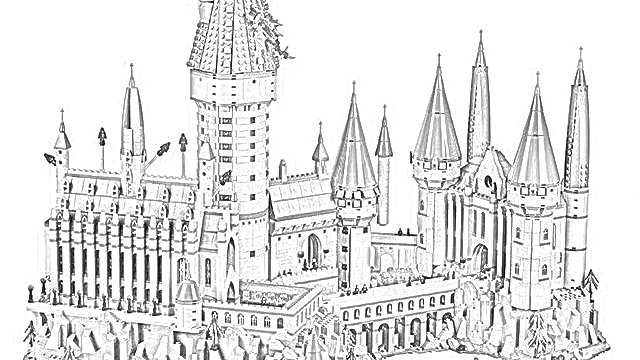 The LEGO Harry Potter Hogwarts Great Hall Building Kit includes all sorts of fun materials with which to build a castle. It includes house banners, tower with movable spiral staircase, potions room and treasure room, among many other things. Of course, it wouldn't be a Harry Potter product without mini-figures of the Harry Potter characters. These include Harry Potter (of course), Ron Weasley, Hermione Granger, Draco Malfoy, Susan Bones, Professor McGonagall, Professor Quirrell with dual Lord Voldemort face, Hagrid, Albus Dumbledore, and Nearly Headless Nick. 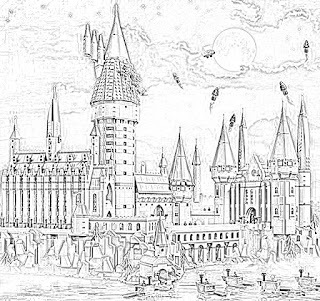 Any fan of Harry Potter is probably going, "that's all?" 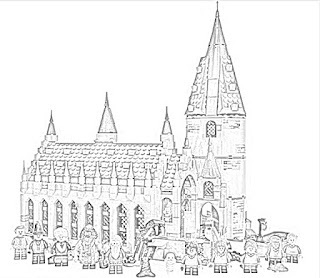 But that's a lot of mini-figures. 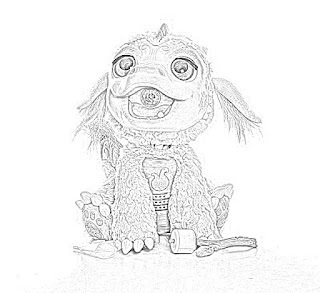 Actually, that's not all. 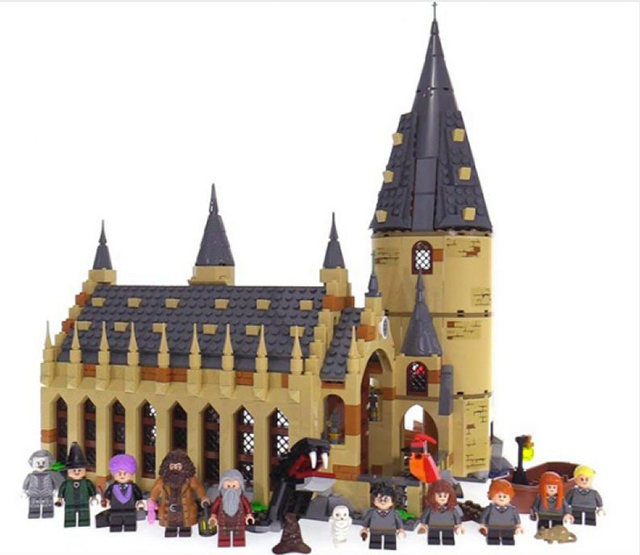 Also included are buildable Basilisk and Fawkes creatures, plus Hedwig and Scabbers figures. 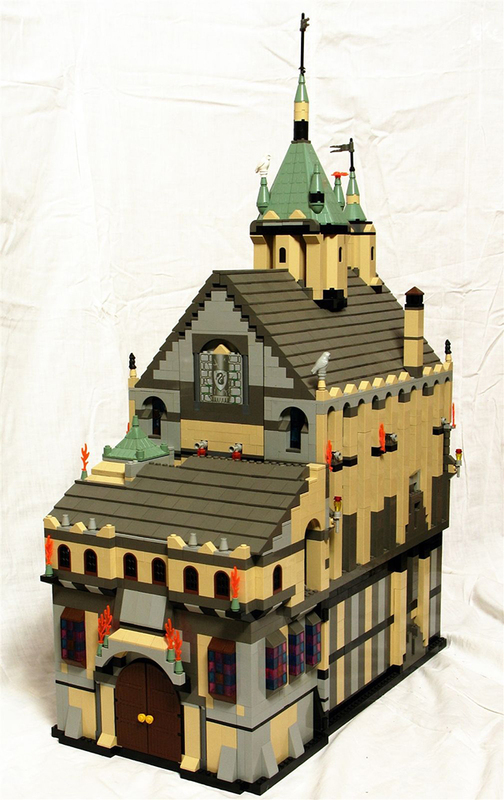 Depending on how you build it, the Hogwarts Great Hall measures over 14” (37cm) high, 11” (30cm) wide and 7” (18cm) deep. 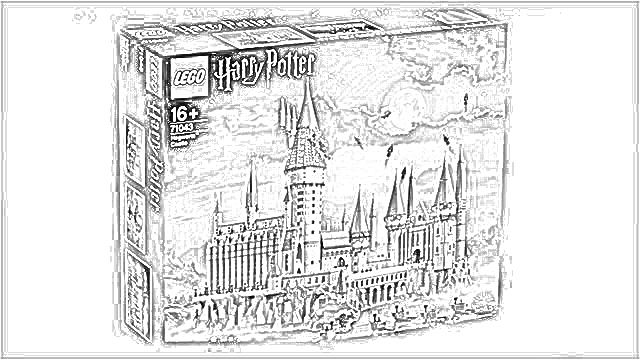 LEGO Harry Potter Hogwarts Great Hall Building Kit is recommended for children between the ages of 9 and 14. 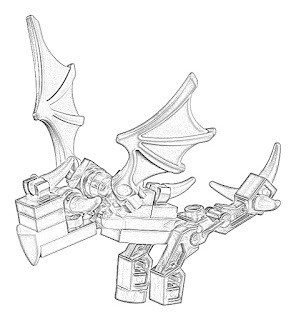 The kit includes a lot of small pieces, so it is inappropriate for very small children. 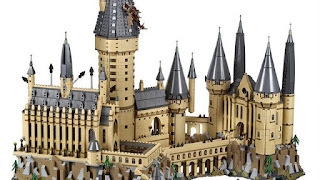 Both boys and girls should enjoy LEGO Harry Potter Hogwarts Great Hall Building Kit. 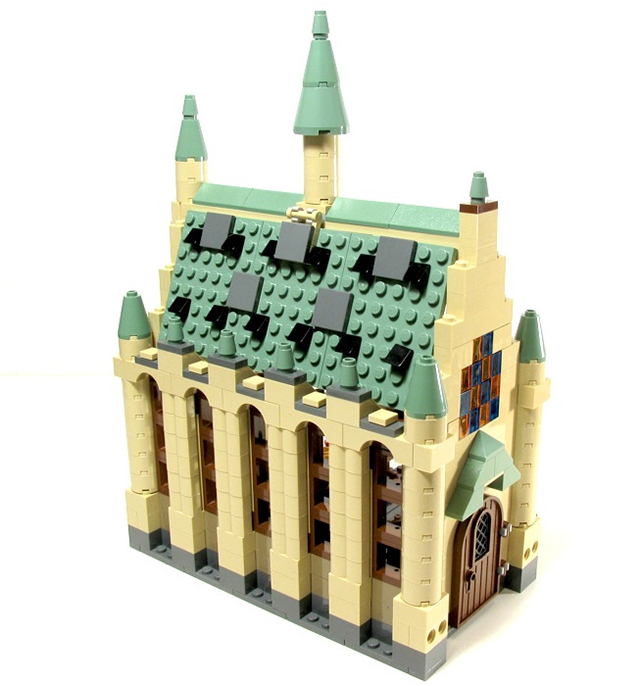 If you have other LEGO products, you may combine them with the LEGO Harry Potter Hogwarts Great Hall Building Kit. 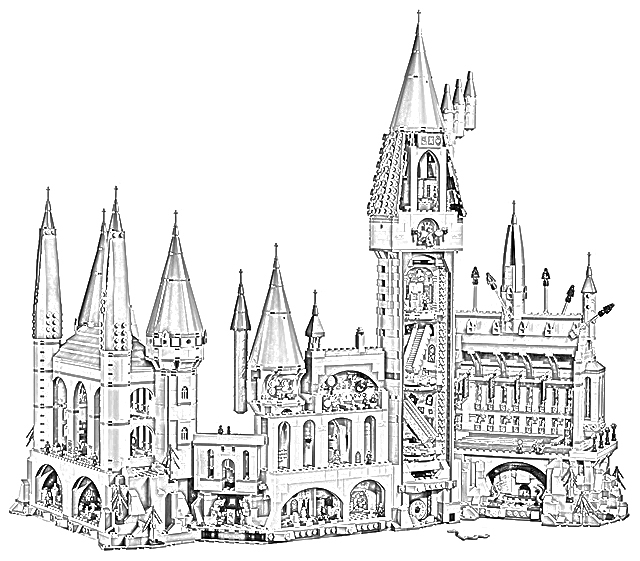 You can build entire cities with enough sets. 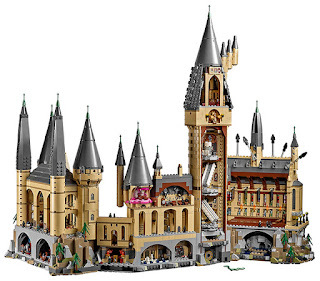 The basic LEGO Harry Potter Hogwarts Great Hall Building Kit has 878 pieces. 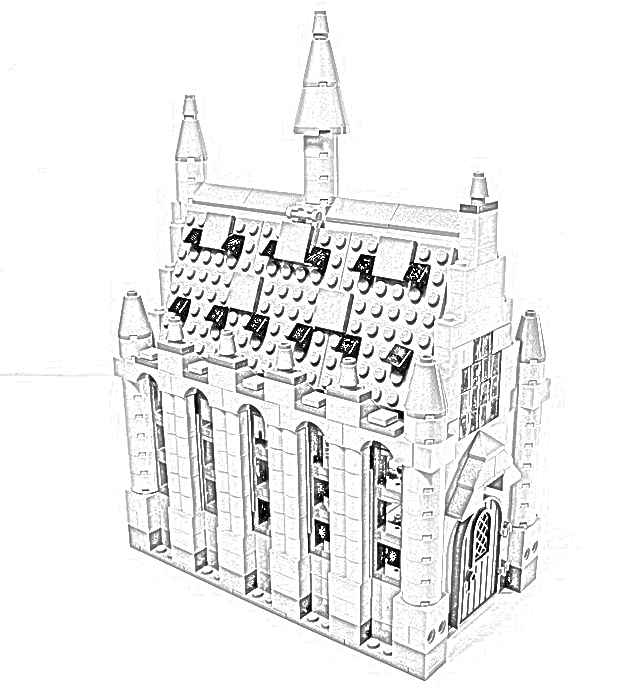 Other building kits have different numbers of pieces, but they are usually around 700-800 pieces. 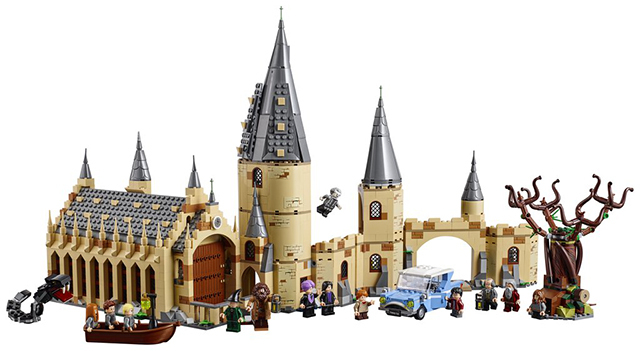 There are different versions of the LEGO Harry Potter Hogwarts Great Hall Building Kit. 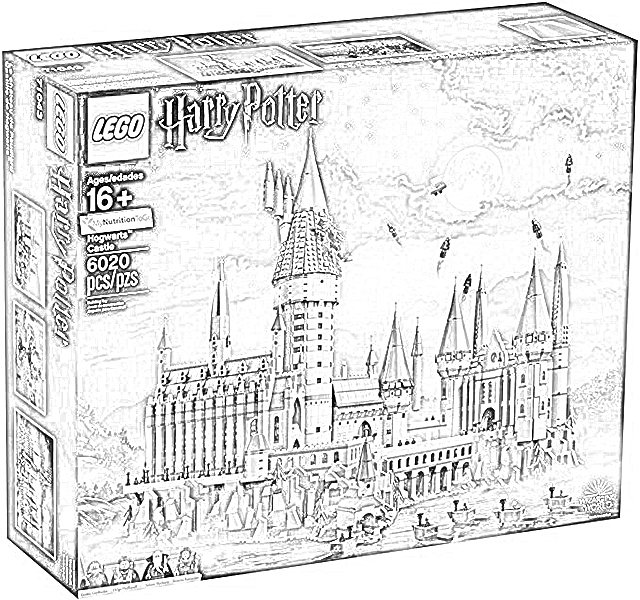 This one on this page is LEGO 75954. 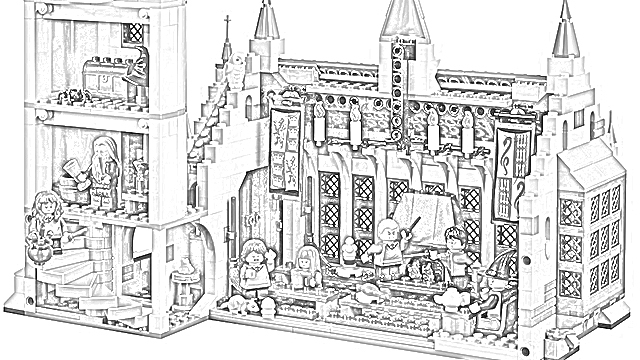 Some people can build the entire set in about four hours. Unless you are an expert, however, count on it taking a lot longer. 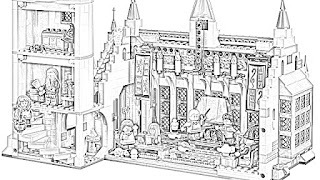 There are a lot of fun details to the LEGO Harry Potter Hogwarts Great Hall Building Kit. 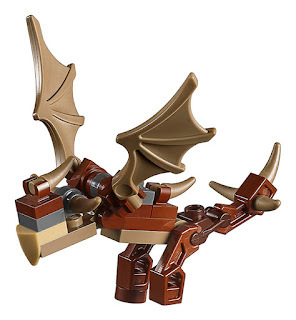 The fun of these types of kits really is in the particular details that add a sense of uniqueness to each kit. The LEGO Harry Potter Hogwarts Great Hall Building Kit includes tables, head table with seats, fireplace, 2 reversible house banners and 4 floating candles, food (turkey leg, ice cream and a small cake), brooms, trophy cup and a teapot. 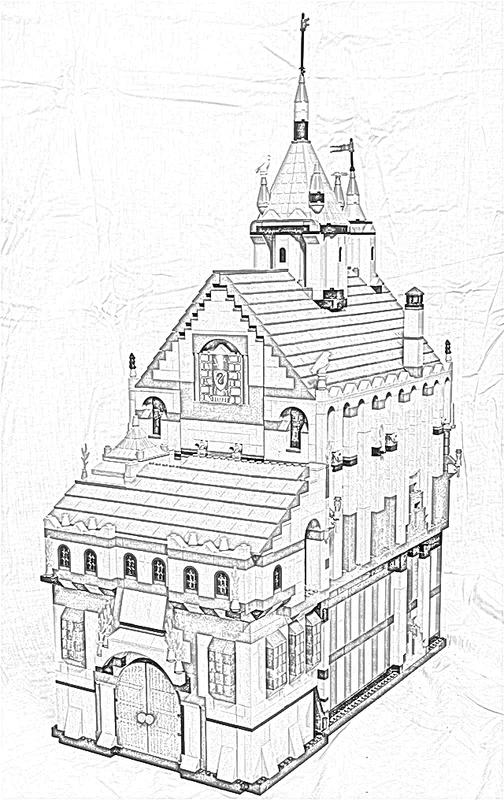 The 4-level tower features a movable Grand Staircase with spiral steps at its base, potions room, treasure room with a chest, and a turret featuring the Mirror of Erised with changeable pictures and roosting spot for Fawkes. 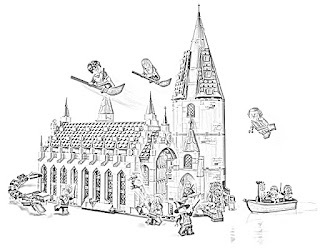 There also is a boat with a hanging lantern. 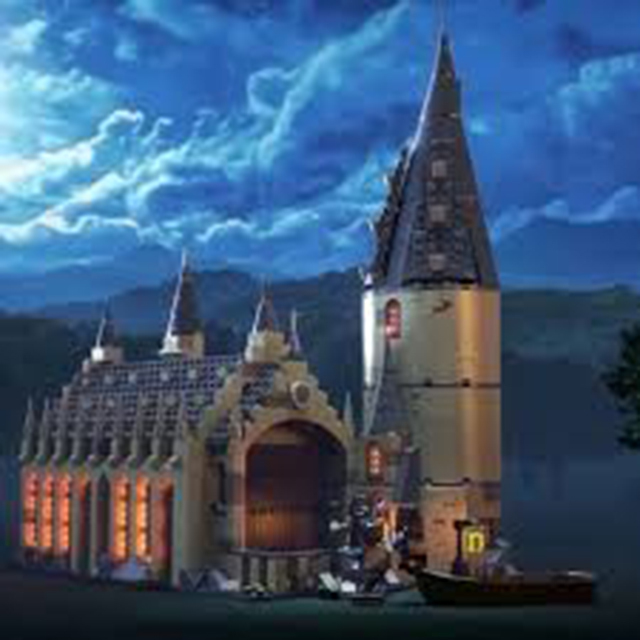 A fun thing to do is to put the students in the boat and sail them to Hogwarts castle. 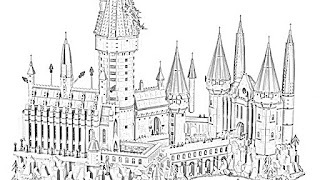 Another fun thing to do is to have Hermione work with Susan to create some of her magical potions. 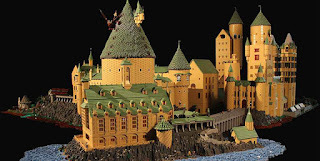 Hagrid and Professors Dumbledore and McGonagall can stand on the shore and greet the students as they cross over in the boat. The LEGO Harry Potter Hogwarts Great Hall Building Kit can be combined with the Hogwarts Whomping Willow (75953) to make an even bigger gothic locale. 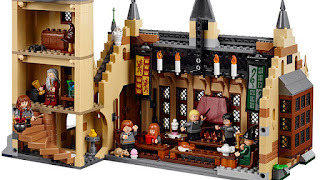 You can recreate famous scenes from the Harry Potter motion pictures using the LEGO Harry Potter Hogwarts Great Hall Building Kit. 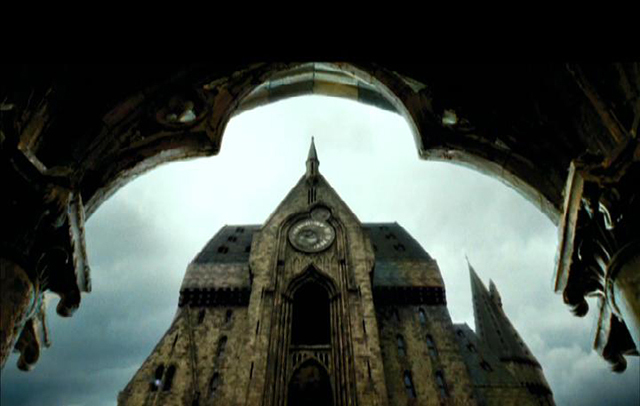 For example, you can gaze into the Mirror of Erised with Ron and change the picture. 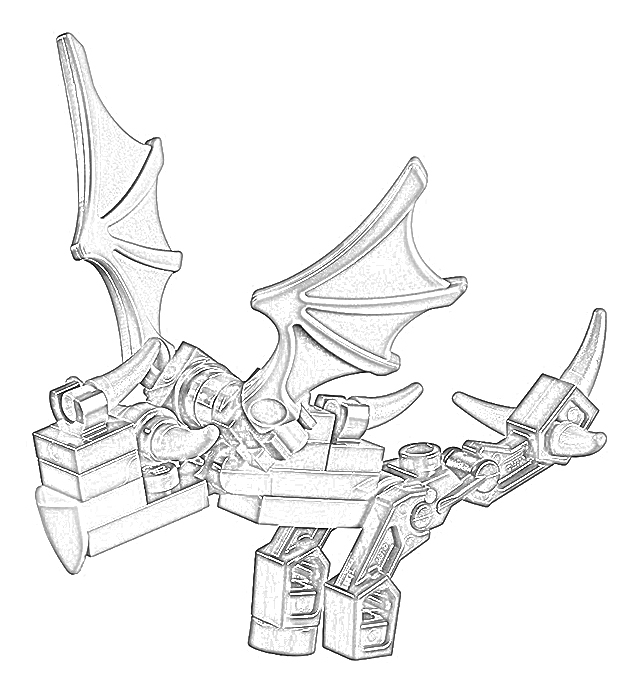 Or, you can turn Quirinus Quirrell into Lord Voldemort by rotating his head! Would you like to send Fawkes into battle and help Harry battle the giant Basilisk serpent? You can do that with the LEGO Harry Potter Hogwarts Great Hall Building Kit. 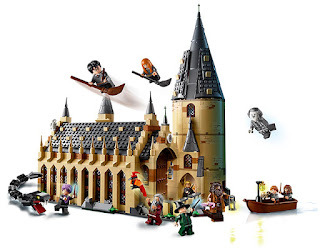 The accessory elements of the kit include 7 wands, 3 tumblers, an umbrella, lantern, broom, sorting hat, cauldrons, potions, candles, 2 wizard brooms, food, trophy, teapot, chest, and a spider. If you are truly a Harry Potter expert, you know by now that the LEGO Harry Potter Hogwarts Great Hall Building Kit focuses on elements from the first two books. That gives you an indication of what future kits might focus on. 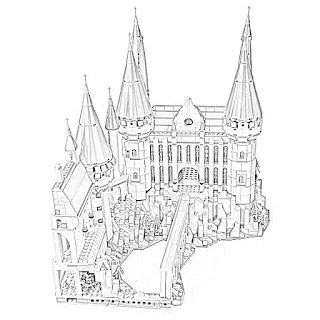 Instructions are included in the LEGO Harry Potter Hogwarts Great Hall Building Kit. 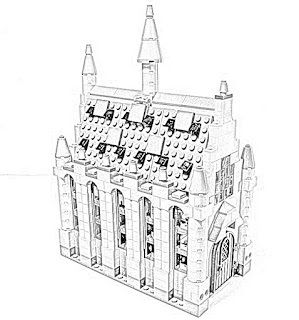 If you are an expert with LEGO, you probably won't need them. But there are some tricky aspects to a major LEGO project like this. 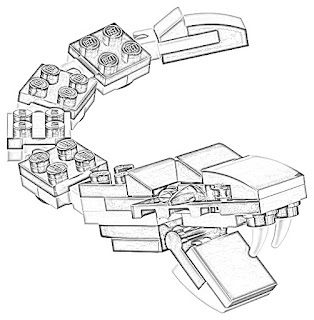 Oh - you had better follow the instructions no matter how good you are with LEGO. 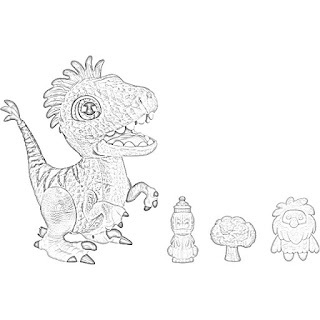 Each element builds on the next, so if you do an early element wrong, you may have major issues later. 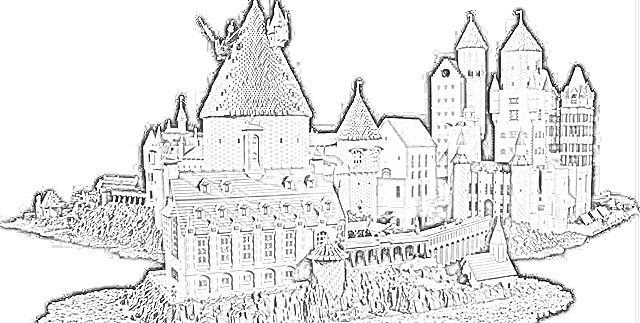 Just a hint. 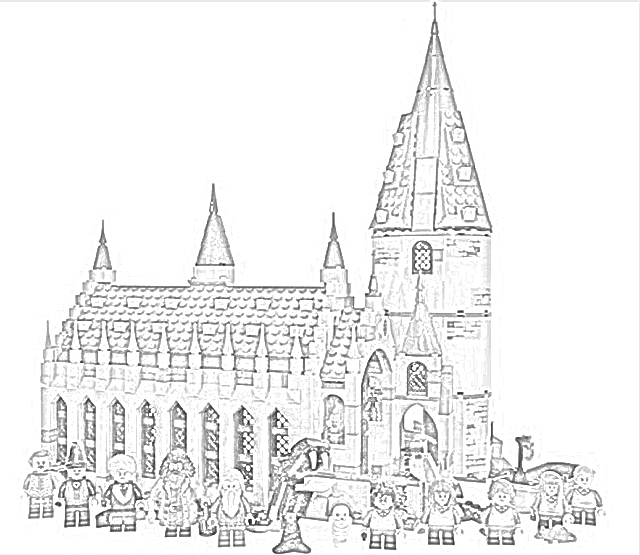 The mini-figures are the best part of the LEGO Harry Potter Hogwarts Great Hall Building Kit. 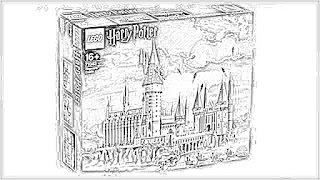 Really, no matter how big or little a fan of Harry Potter you are, you want those mini-figures. 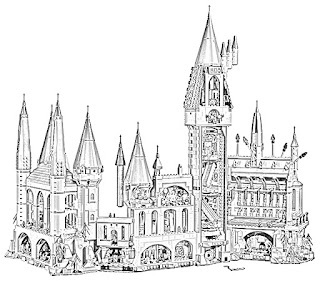 There's something about building actual structures of Harry Potter's world that focuses the mind. 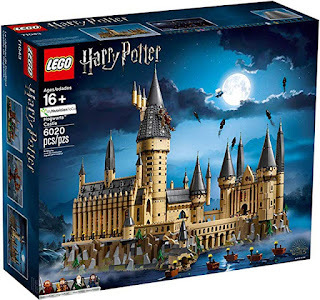 The LEGO Harry Potter Hogwarts Great Hall Building Kit promises to be an excellent backdrop to any kind of homage to Harry Potter, and a fun thing to have set up in the basement or playroom to provide some atmosphere that you only have to dust once in a while. 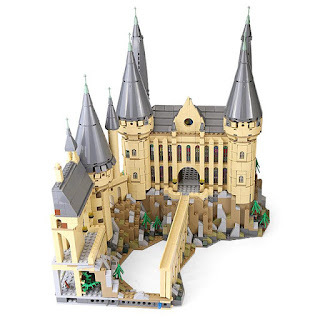 There are reversible pieces that you can switch to give Hogwarts a different look every time that you build it. 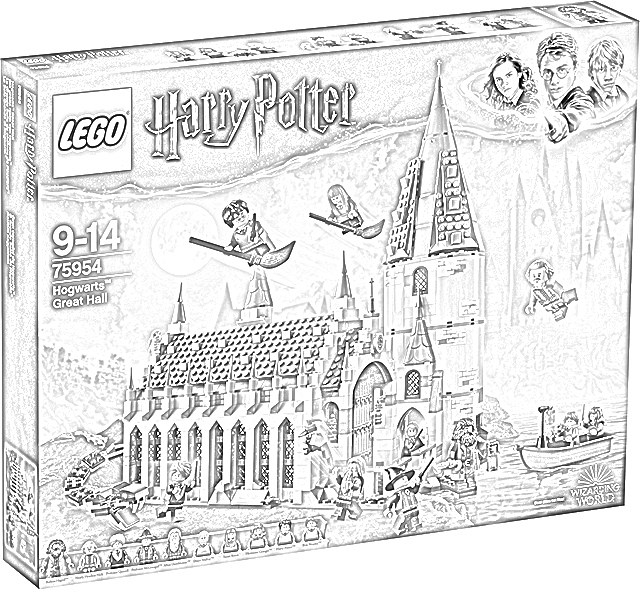 If you are a veteran of the classic 2001-2002 sets or even the 2010-2011 sets, this Harry Potter building kit should bring back a lot of memories and stir your imagination. The LEGO Harry Potter Hogwarts Great Hall Building Kit was released on 1 September 2018, so if anyone tells you they built it years ago, they are pulling your leg. The LEGO Harry Potter Hogwarts Great Hall Building Kit is fresh and worth considering as a gift for the Harry Potter fanatic in your life! 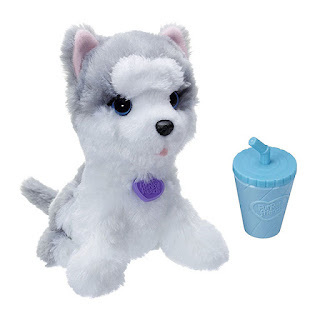 FurReal Friends Pax, My Poopin' Pup. 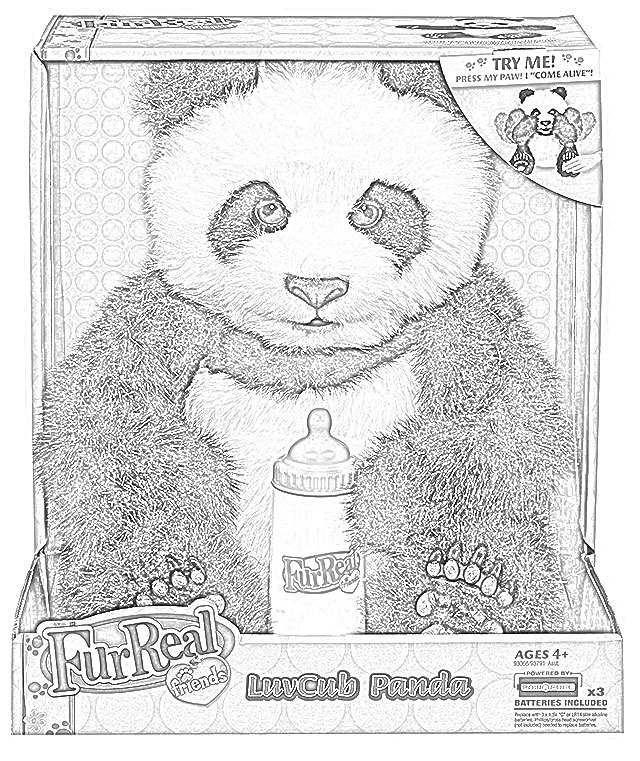 FurReal Friends are plush Toys from Hasbro. Fur Real Snifflin\' Sawyer The Polar Bear Soft Toy. FurReal Friends are cutting-edge animatronic toys. 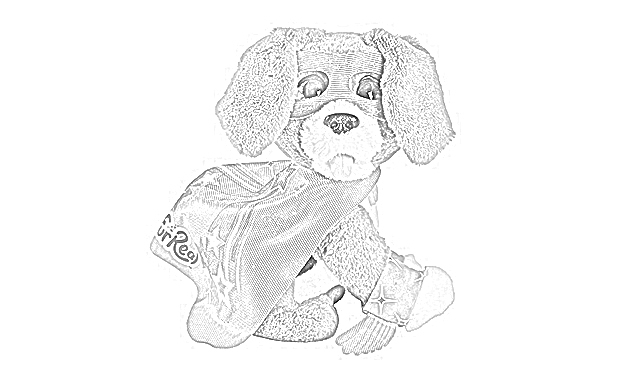 They walk and do all sorts of special tricks. 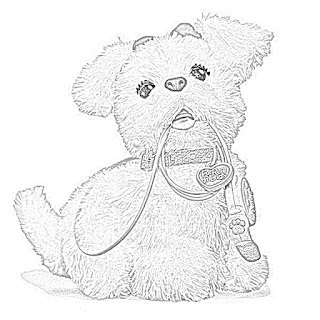 FurReal Friends have a free app that you can use with pets such as Get Up & GoGo, My Walkin’ Pup. 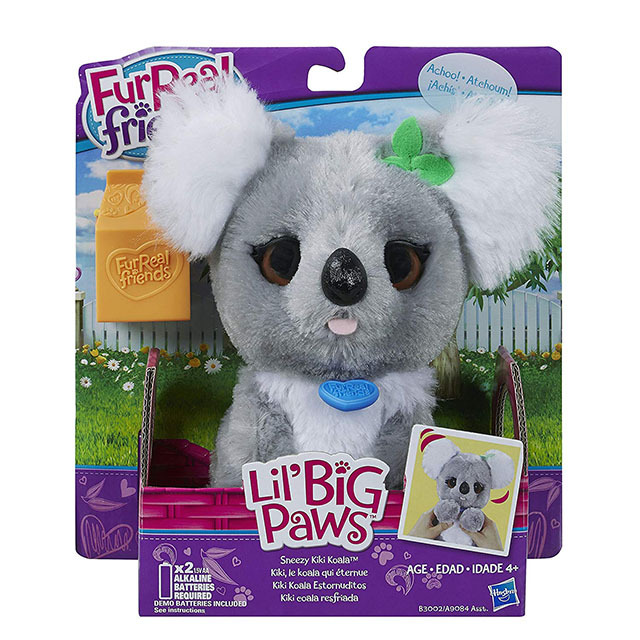 FurReal Friends Li'l Big Paws DJ Howler Pet. 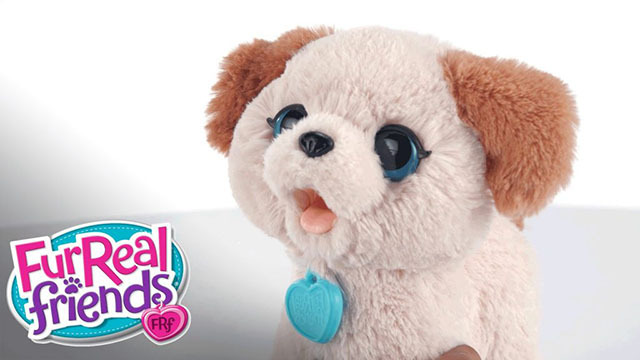 The FurReal Friends app allows you to interact with the FurReal pet when you point it toward your pet. 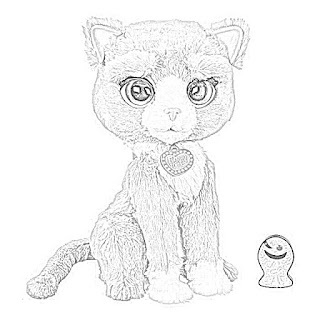 When communicating with you through the app, FurReal Friends will let you know things about them such as what treats they like. 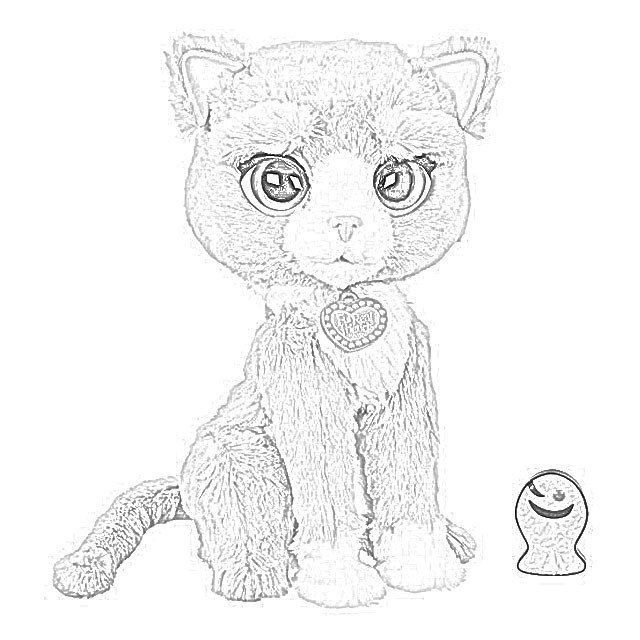 There are many FurReal Friends app activities. Aside from Get Up & GoGo, My Walkin' Pup, FurReal Friends that respond to the app also include Cuddles, My Giggly Monkey, Pom Pom, My Baby Panda, and Butterscotch, My Walkin' Pony. 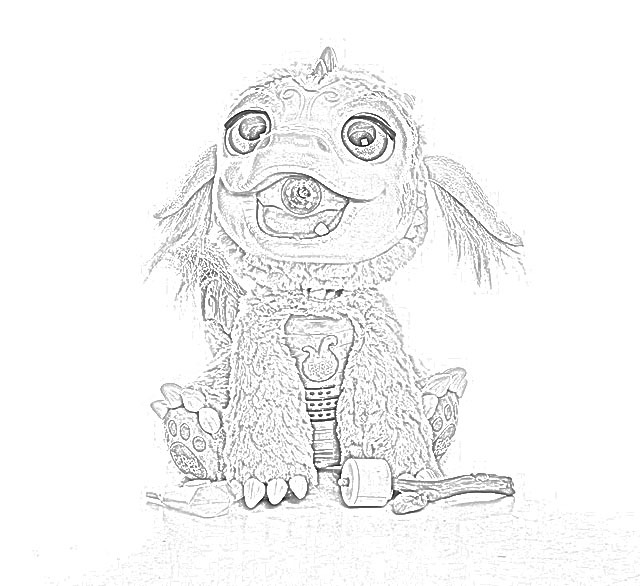 There are many others, too. FurReal Friends Get Up & GoGo My Walkin' Pup Pet. FurReal Friends Cuddles My Giggly Monkey Pet is popular. All FurReal Friends are tested for quality and durability and are made from safe materials. 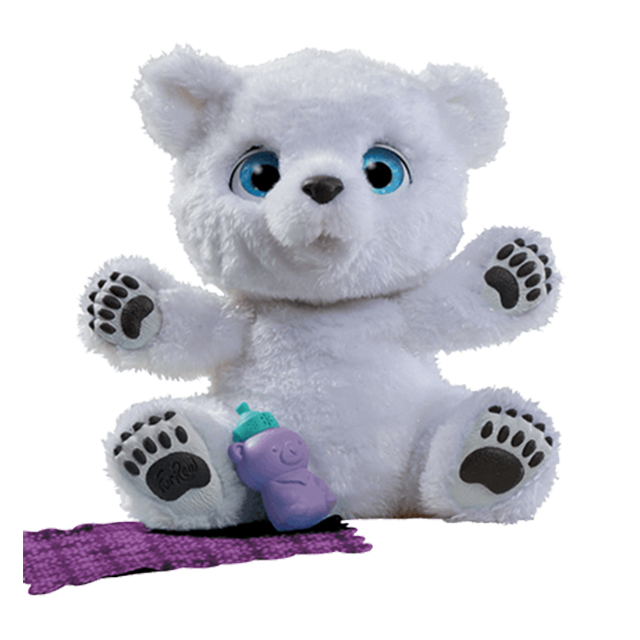 When you throw FurReal Friends Cuddles My Giggly Monkey Pet into the air, it knows when is upside down. 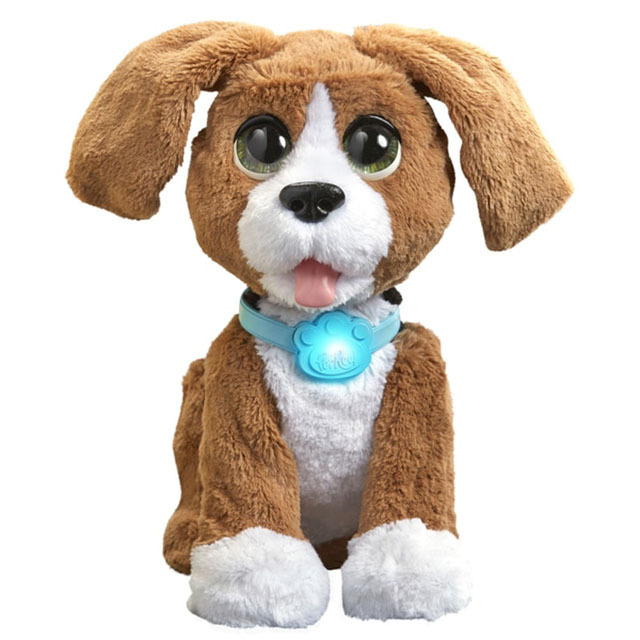 It also closes its eyes when you put her to bed. 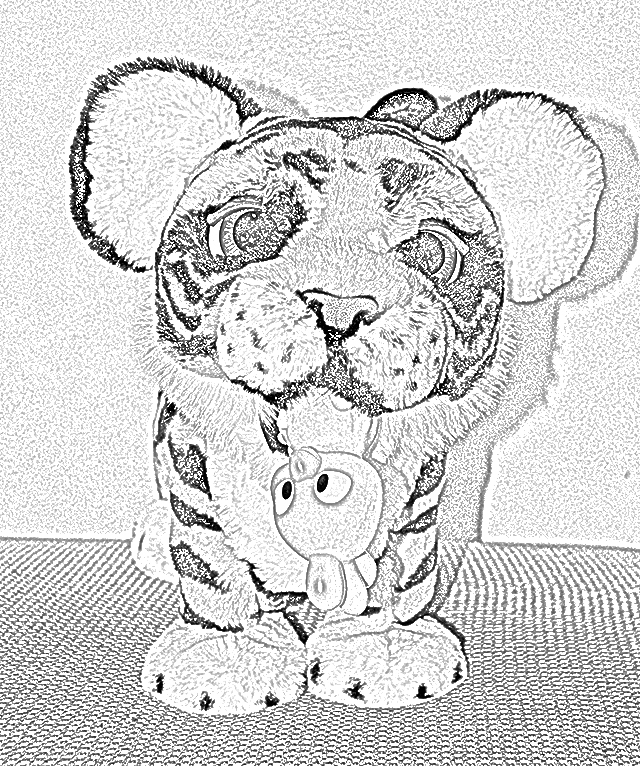 FurReal Friends Roarin' Ivory, the Playful Tiger. 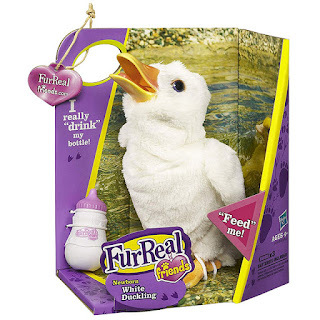 You can feed FurReal Friends “treats,” give them bottles and just watch them move around and make noises in response to various stimuli such as petting them. 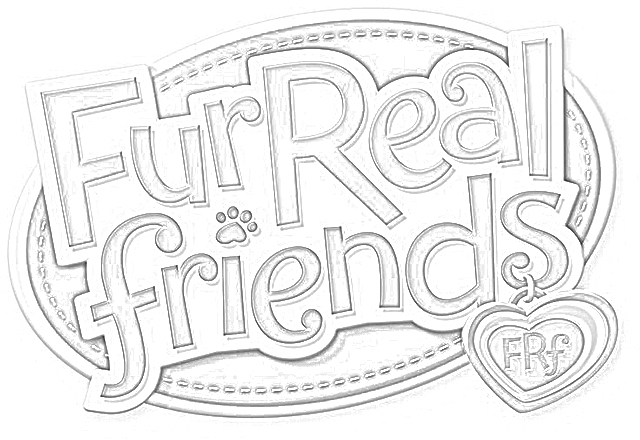 FurReal Friends respond with literally dozens of sounds that are appropriate for the situation. FurReal Friends Luvimals Sweet Singin' Kitty Pet. FurReal Ricky, the Trick-Lovin' Pup will shuffle his paws and bark happily when he's excited. 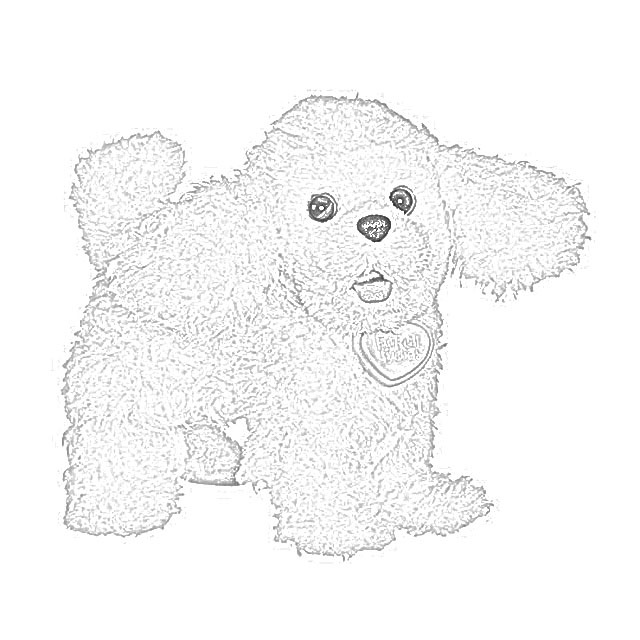 FurReal Pax, My Poopin' Pup has a special trick that you can probably guess. 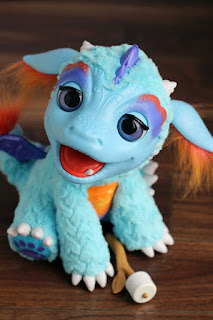 Hasbro FurReal Friends Torch, My Blazin' Dragon. 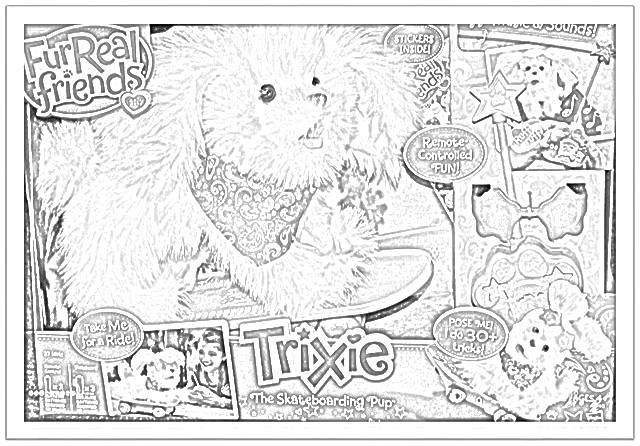 There are accessories available from Hasbro, such as a FurReal Treats Refill and FurReal Bootsie Sushi Treats. When you get a FurReal Friends pet, you become part of a large community. 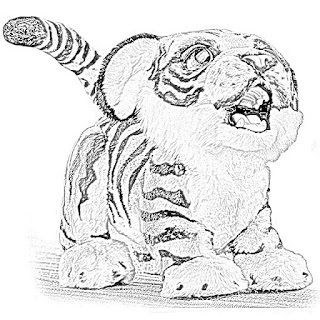 Many children have FurReal pets. 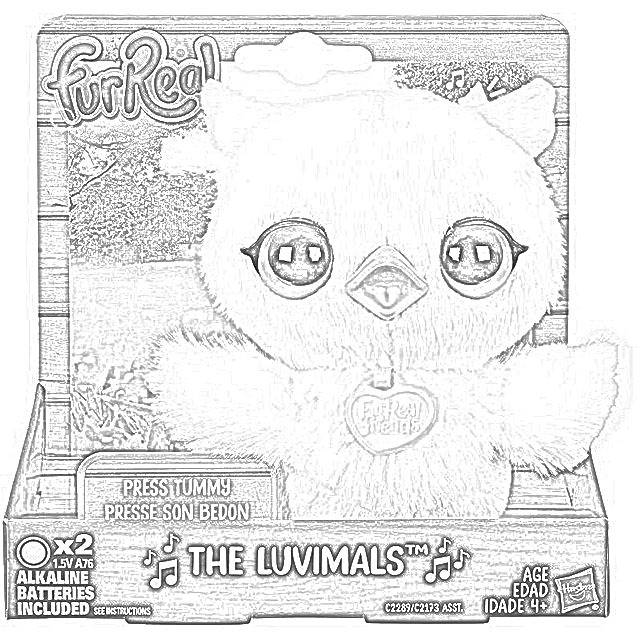 Technically, as indicated above, FurReal pets are electronic toys. They come in many different sizes but are designed to be held in a child's hands. 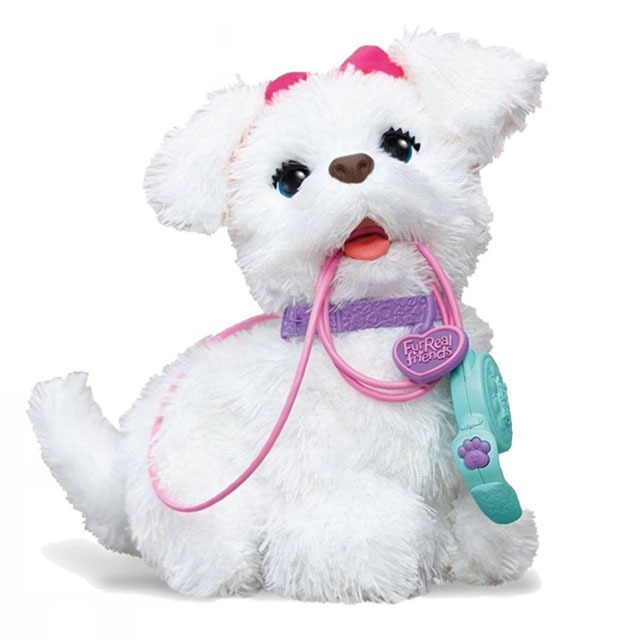 Many children consider FurReal pets as replacements or alternatives or additions to their real pets. All of the FurReal pets have their individual tricks depending upon what kind of animal they represent. 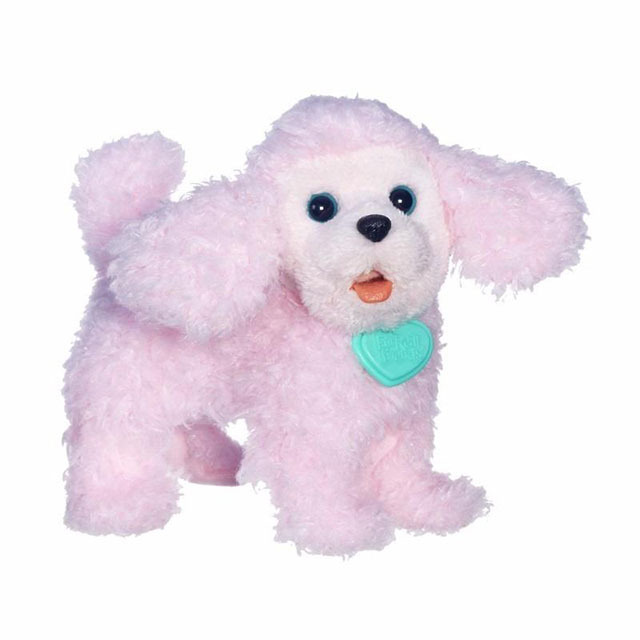 For instance, Bouncy is a robotic pup that can jump and turn in a circle when you wave your hand over its head. Prices for FurReal Friends differ drastically. 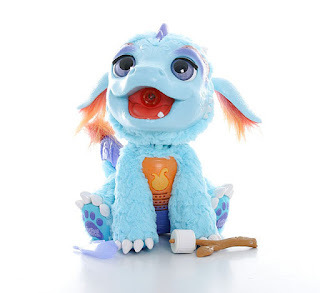 Some are as low as $6, others as high as $300. 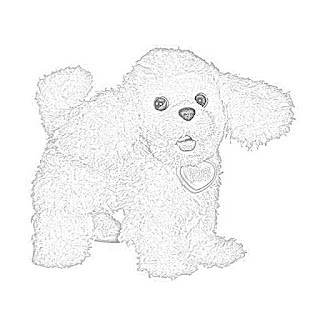 It depends on what kind of tricks you want them to do and how elaborate they are. No matter how low their price, however, all FurReal Friends move in some way. 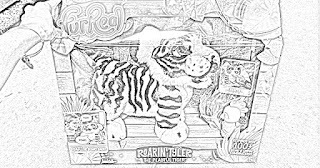 FurReal Roarin’ Tyler the Playful Tiger. 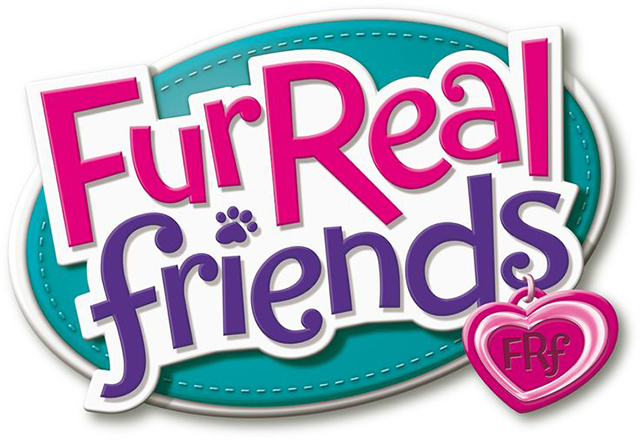 The slogan for FurReal Friends has varied since they were first introduced in 2002. 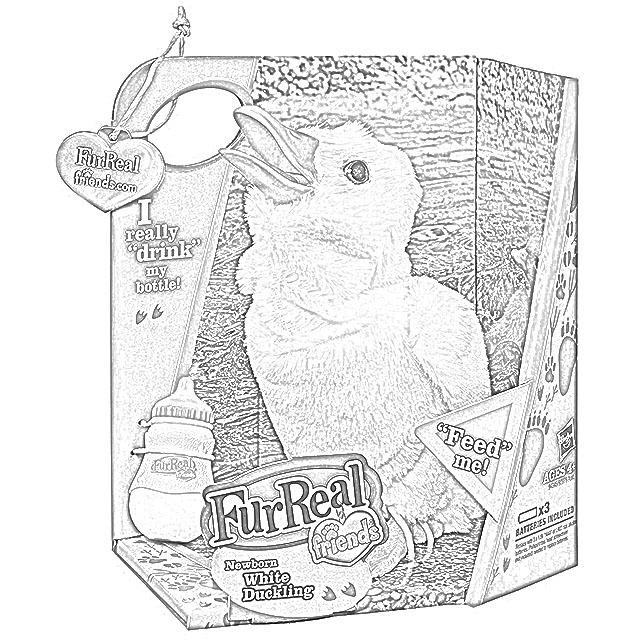 For a long time, the FurReal slogan was "They love you for real, FurReal Friends." Later, the FurReal slogan was "My best friends are FurReal Friends." 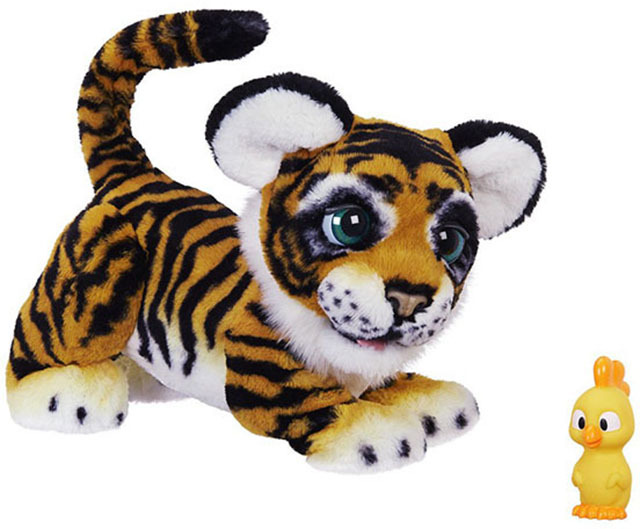 Some popular FurReal pets are dinosaurs. 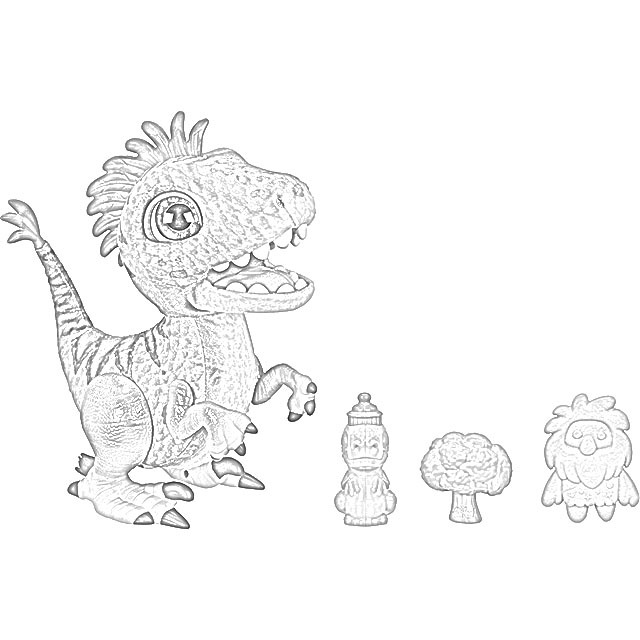 Dinosaurs are not known for their fur, but kids love them a lot. 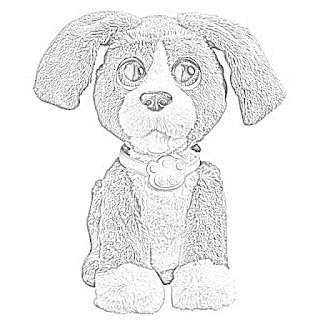 FurReal Chatty Charlie the Barkin' Beagle. 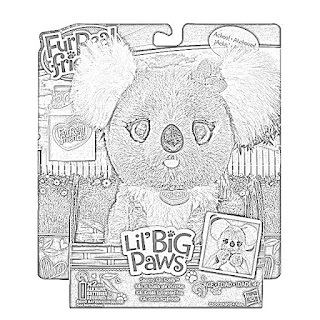 With some of the FurReal pets, a portion of the proceeds go to benefit charities. 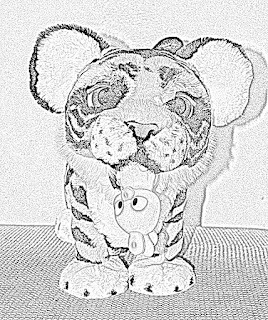 This includes Zambi the robotic elephant. 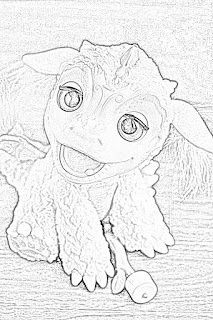 "Butterscotch Pony" is a large, animatronic, whinnying pony that children can actually sit on. 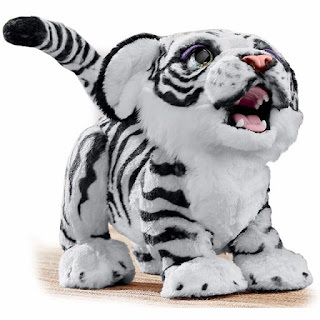 It has lots of sound effects mimicking those of live horses. "S'mores" was another horse later introduced as an upgrade. Fur Real Friends Collectible White Duckling. 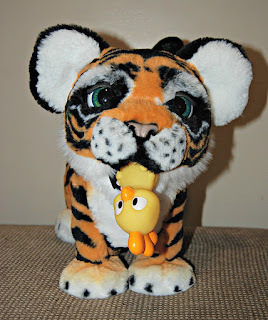 Squawkers Macaw was produced is an interactive, vocal animatronic macaw capable of saying phrases. 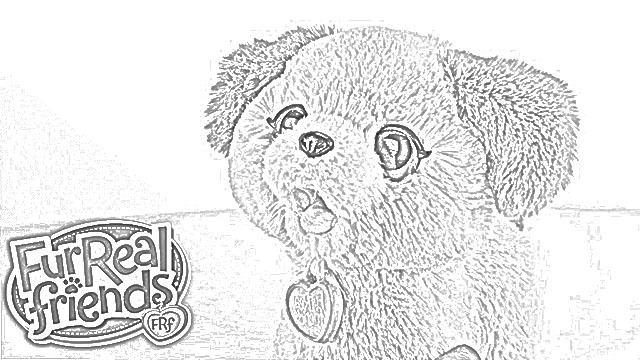 It is difficult to say many general things about FurReal Friends because they are all so different. 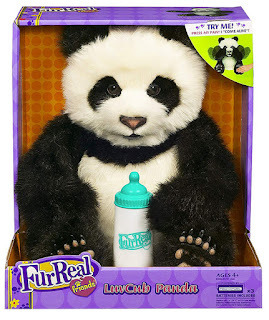 FurReal Friends Luv Cub Panda. 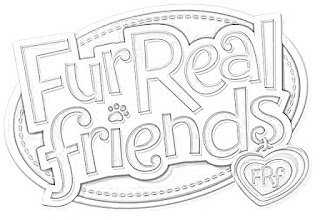 FurReal Friends are so popular that there are lengthy web pages listing just the ones popular for a particular holiday season. 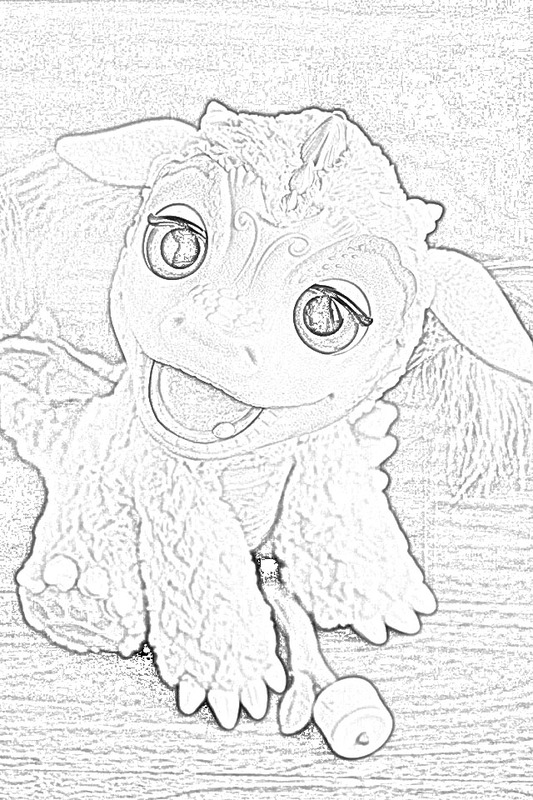 Torch, My Blazin' Dragon, for instance, is popular on such lists. 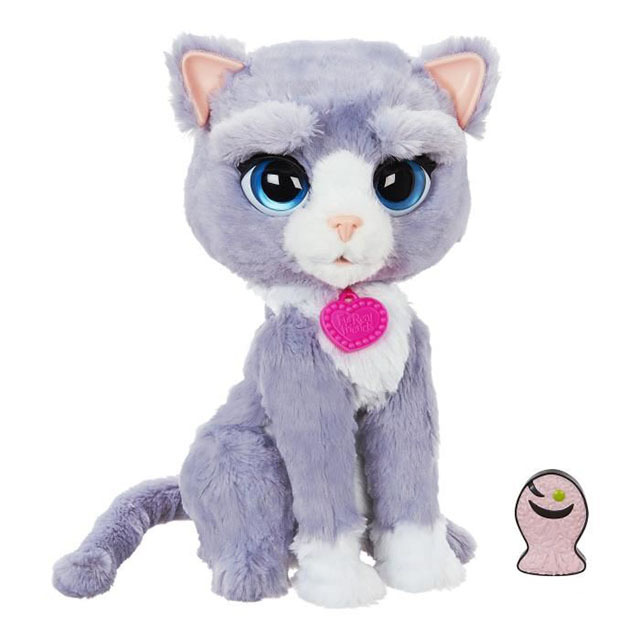 FurReal Friends Bootsie is a kitty with attitude. Bootsie's eyebrows reveal her many moods. 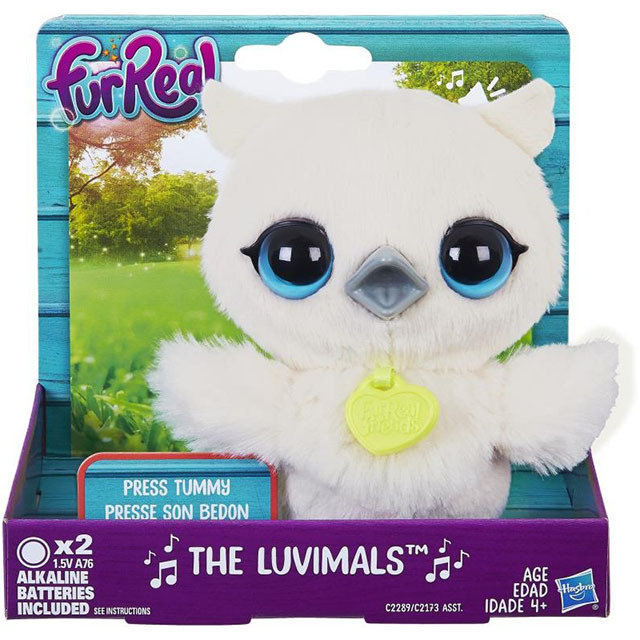 FurReal Friends Luvimals Sweet Singin' Owl Plush. 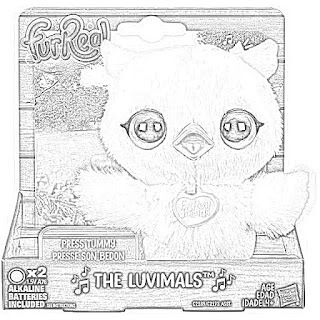 FurReal Luvimals are a separate set of FurReal Friends that are sold individually. 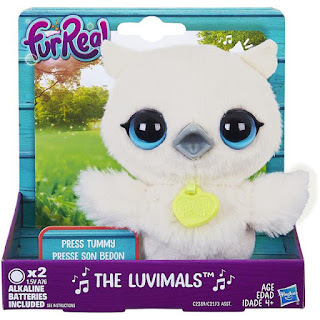 Most FurReal pets are for ages 4 and older, but be sure to check the individual FurReal Friend that you are interested in, because they can differe wildly. If you think that you are going to collect all of the FurReal Friends, be prepared for an ordeal. There are so many that you will have a hard time finding them all, and some are rather pricey for children's toys. 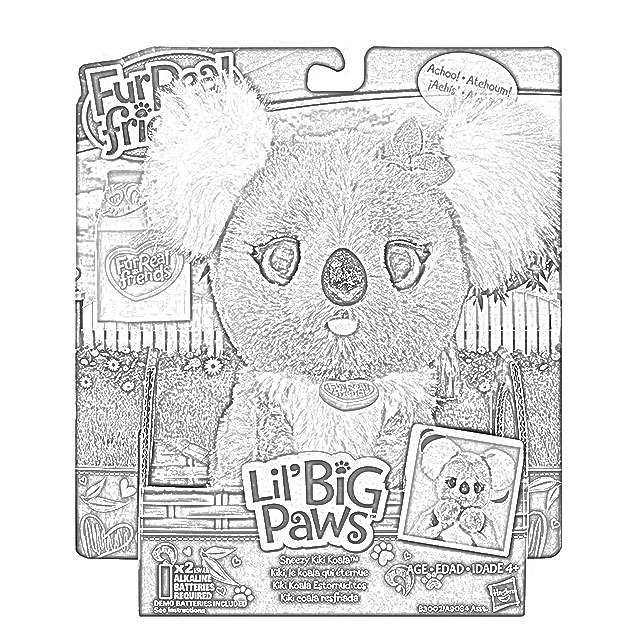 The batteries required by the larger FurReal Friends usually are 4 "C" batteries - but check for your individual FurReal pet. 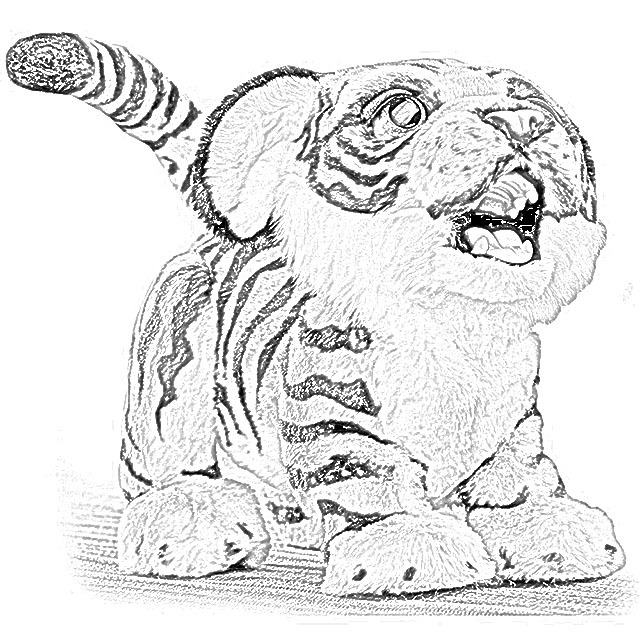 FurReal Roarin' Tyler - The Playful Tiger. 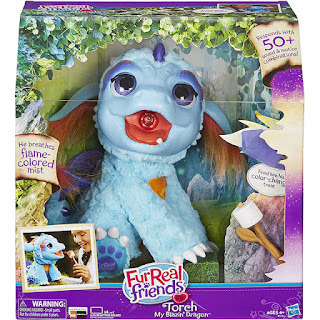 There are some "famous" FurReal Friends. 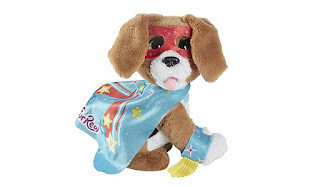 These include Chewie, the Star Wars co-pilot. 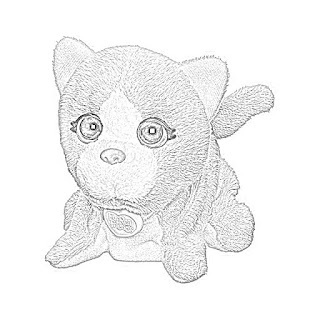 He is a 16-inch furry Wookie toy that responds with over 100 sounds. 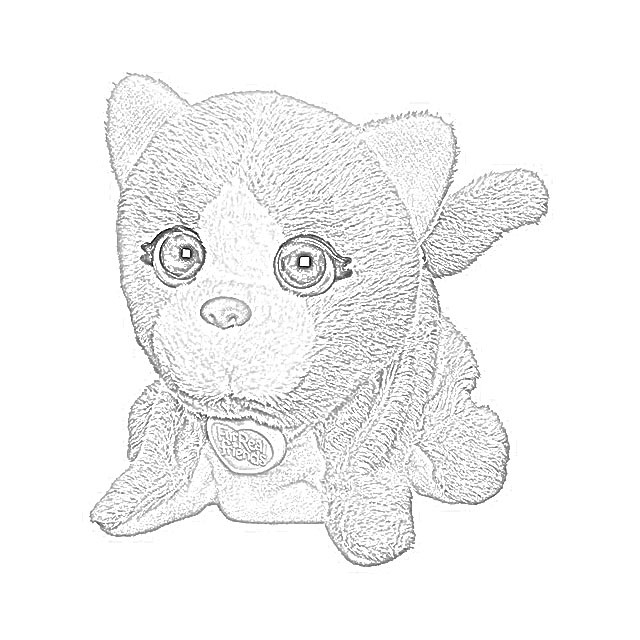 FurReal Friends Cuddles My Giggly Monkey Pet weighs 3.3 pounds and has an impressive range of motion. 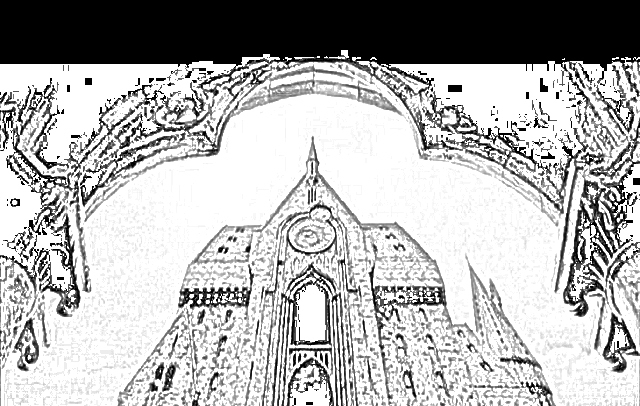 As usual, it has 100+ sounds. 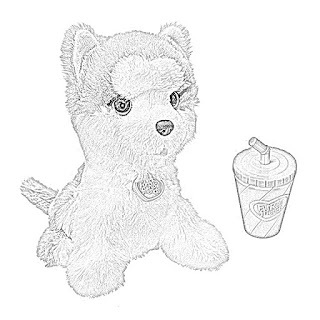 It also comes with a plastic banana bottle. 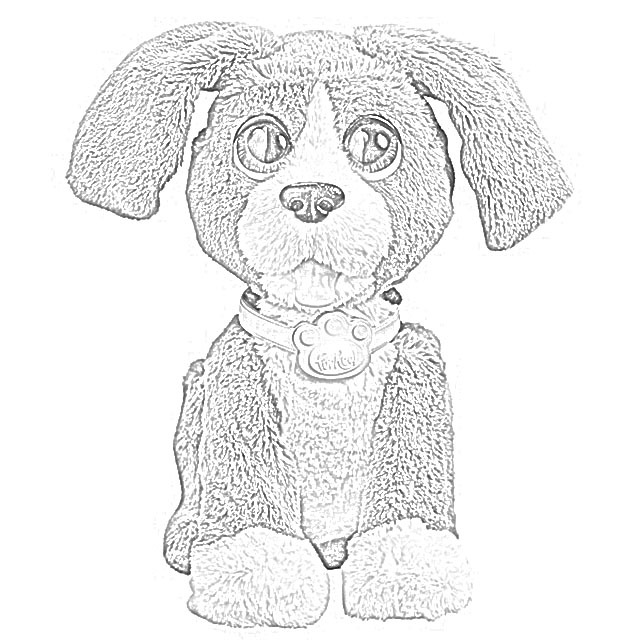 furReal Chatty Charlie, the Barkin' Beagle. 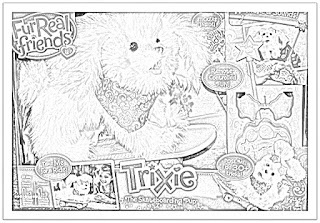 Batteries for FurReal Friends usually go in their posterior and are usually held in by a velcro flap. 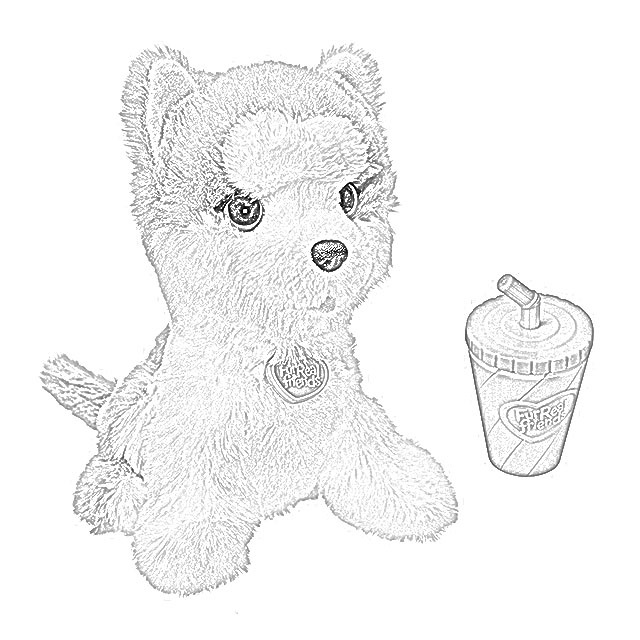 FurReal Friends Munchin’ Rex makes more than 35 sound-and-motion combinations. Its sounds include dino-habitat squeaks and grunts. 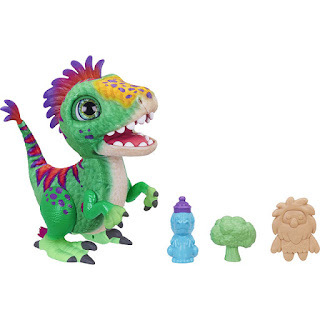 Wave at Munchin' Rex and it will roar and bounce. 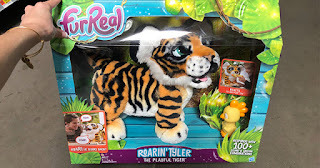 FurReal Roarin’ Tyler the Playful Tiger by Hasbro. 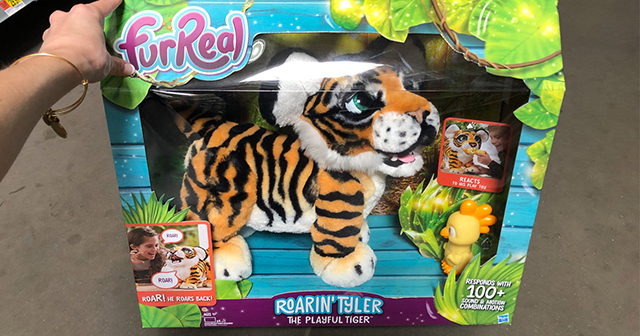 FurReal Roarin’ Tyler the Playful Tiger by Hasbro is one of the more elaborate FurReal Friends. 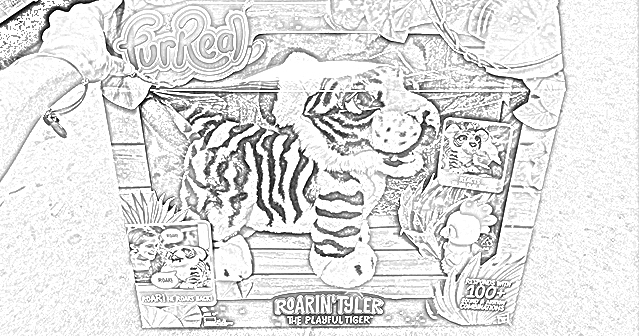 FurReal Roarin’ Tyler the Playful Tiger responds when given his play toy and bows gracefully when he roars. 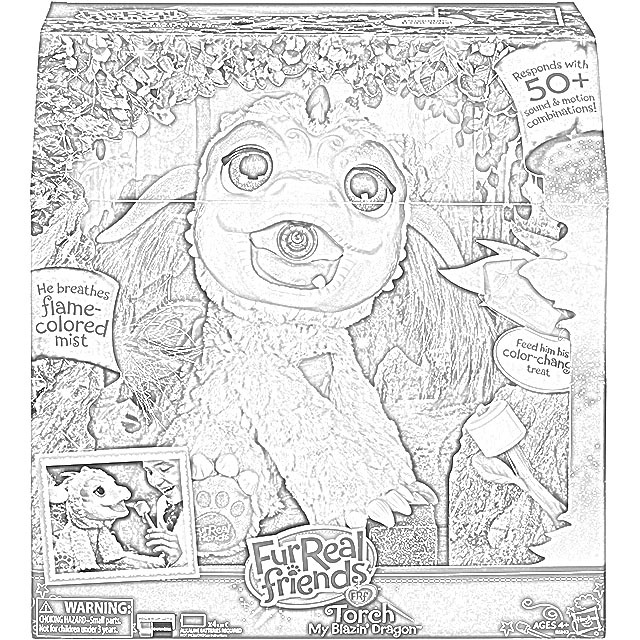 Really, the FurReal Friends are individual toys that have their own personalities and tricks. 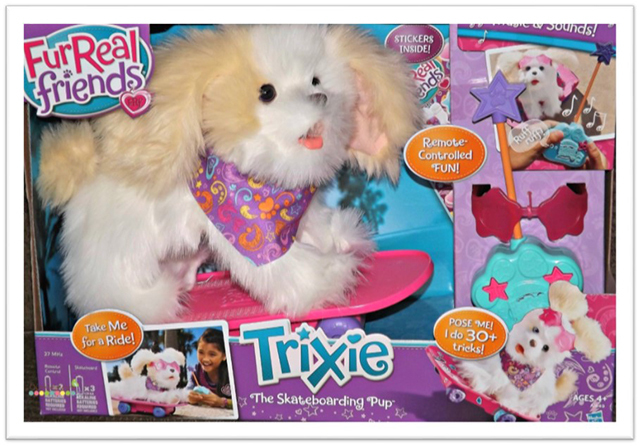 FurReal Friends Trixie - The Skateboarding Pup. 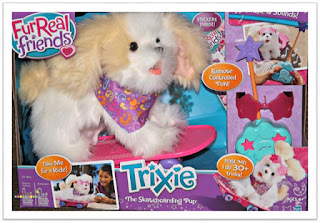 FurReal Friends Trixie - The Skateboarding Pup responds to a child's touch and makes realistic pet movements and sounds. Look over the FurReal Friends available to you, you'll find one to love!